A Selling Eating newsletter? Why not? Meanwhile, Shake Shack posts its calories and hopes the person you’re with distracts you while you’re in line, just as you start to think about it. Oh man, that 570 calorie Shroom Burger (from the blog “Cay. Digests New York”) does look ...oh, it looks good. 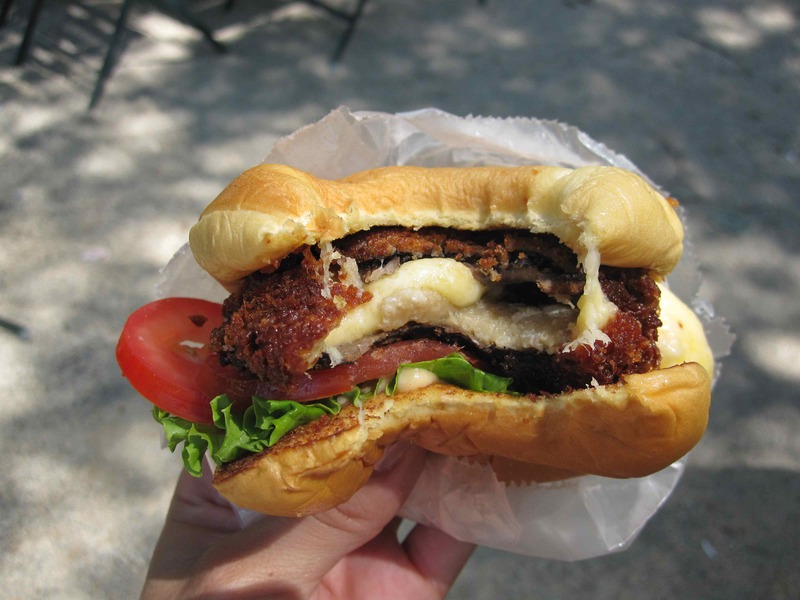 According to an article in The Wall Street Journal yesterday, so far Shake Shack’s hope is well-placed. “It’s pretty amazing. It’s exactly the same. I expected a little more of a blip and then a return to normal behavior,” Mr. [Shake Shack CEO Randy] Garutti said. This entry was posted in Exploring In Real Time Together, Kind of Funny, Links To Stories, News, Opinion. Bookmark the permalink. Burger King’s success makes me think about a quote from a famous ad guy. Every part of London’s Olympic Park McDonald’s will be reused or recycled. Selling Eating comments on current restaurant advertising, applauds effective communication; and mocks mindless repetition of food clichés. Charlie Hopper is a principal at Young & Laramore advertising, and has been marketing restaurants for nearly 20 years. Recently I spoke with Rod Brant of Your Marketing Works for his podcast, and we discussed many things—including how smaller restaurants can market themselves smarter and better. At the 2016 Food & Agriculture National Conference, I joined Lesley Fair of the Federal Trade Commission Bureau of Consumer Protection and two other distinguished-type speakers to discuss the effect of regulations on communication. Which was more fun to talk about than it initially may sound. At the National Restaurant Association’s Marketing Executive Group conference in Atlanta a year and a half ago, I spoke about “Fifteen Forbidden Food Clichés That Are Holding You Back” and the 18 Marketing Moments (from my book) that go to waste if you don’t understand who you are as a brand. Here are the slides from that presentation.